I've read a bit about these elsewhere so a friend of mine brought me a pair back from the USA. Unfortunately, they are not available in this country. I'm not sure of the price since I didn't buy them but I do have slightly mixed feelings about their sound. The bass is nice and rich. It hits nicely and sounds as though it goes deep. At first, they sound fine, but after a while, I felt that something wasn't quite right in the treble. It doesn't seem that extended but it has an unnatural 'clatter' up there and to my ears, it sounds as though something is slightly amiss. It's not a sweet top end and almost seems crude sounding in comparison to other headphones and most definitely a little coloured. Since people have been raving about them, I went back and did some more reading and saw that driver distortion could be problematic. Perhaps I'm actually hearing this? It's particularly the quality of the treble that isn't quite right - as though something is missing in the middle treble but plenty of 'clatter'! I must admit, really, I ought to have a rig to measure these things that I come by since I just use my ears. 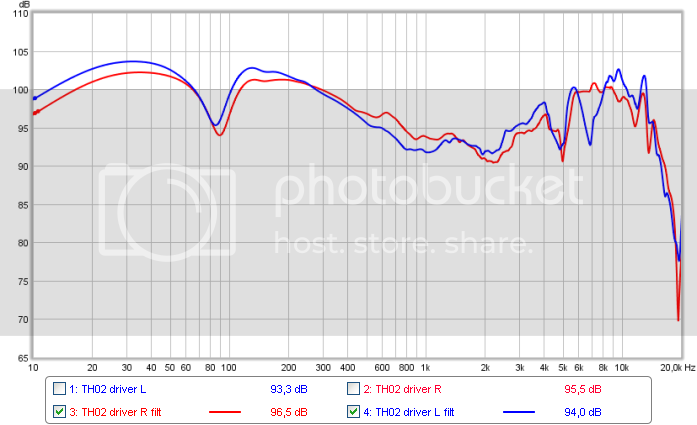 So summing these up - yes, they are a very cheap headphone and the build shows it. The fit on the head isn't great either. The headband doesn't pull the cups far enough up so they tend to hange a bit low for me. I guess I could put more padding on the top to lift them. Sound is mixed for me - bass is nice - treble is 'off'. There is something wrong in the top end. However, if you have nothing to compare with, you would be pretty unaware of it I guess. For the money, I think they're OK with reservations about the treble quality in particular. You may see them on Ebay but the postage matches the price of the headphone so doubling their price which isn't great. I wondered about those too. How do they sound though the Fostex filter ? Their plot is very similar to a modified T50RP with peaks and dips of about the same magnitude in roughly the same areas. For the money (about $25.-) it ain't half bad is what most say. When you compare the measurements with a modified EVO, which is only slightly more expensive I believe the EVO has better value (as does the HD681 when modified. I definitely prefer the HD681 modified with both V2 and v3 filters, Frans. The 681 treble is actually more refined. It kind of reminds me of the Creative Aurvana in that on the face of it, it sounds very good but after a period of time or direct comparison, you start to hear the flaws. It has a raised bass, which I don't mind too much but the quality of the treble sound seems 'off' to me. It's more noticable when you compare with other headphones. The treble kind of sounds a little 'crude' and grainy. What is also strange is how the headphone doesn't adjust fully to my head size. It's too large, which is a first for me. It's not an awful headphone but it's also not the great cheapie that it has been touted as imo. I haven't tried loud volume stuff yet (as in studio monitor as they claim) but that claim is a laugh. They aren't built well enough to be pro monitors. No way. Plastic adjusters and my patented 'sit' test would kill them. 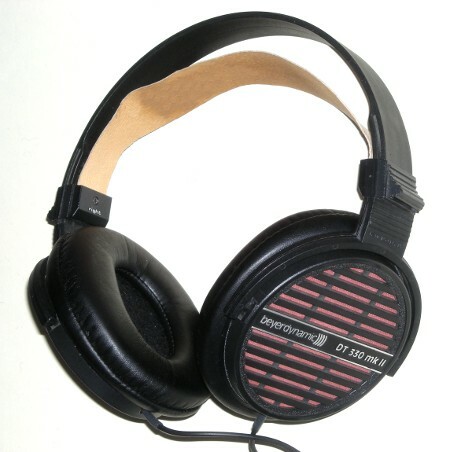 The best of the cheapos for me is the HD681B with either V2 or V3 filter. I change according to mood or recording for the bass. 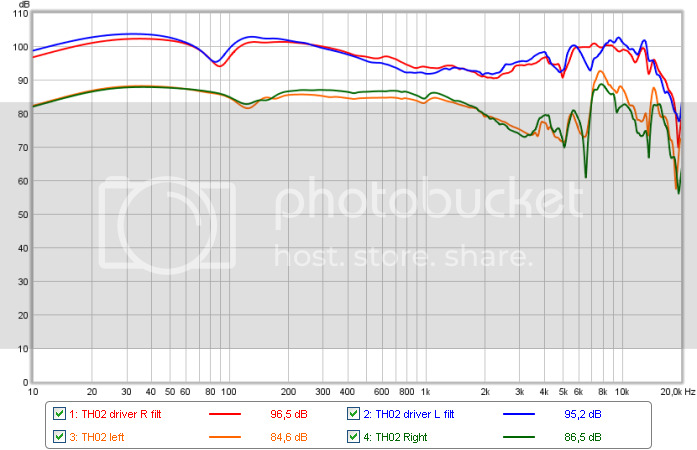 i quite like the raised bass of the V2 filter although my head tells me the V3 is more accurate. They start to lose a little 'excitement' with the bass melted down imo. Funnily enough, the Fostex don't. Maybe it's just that the drivers are better. I get the feeling that the Tascam drivers aren't that great with the roughness I kind of 'feel' in the top end. For that reason, I don't think they'd be great for modification tbh since they are fragile and a bad fit on the head. If the drivers aren't too good, my guess is that they won't really improve that much other than tonally I guess. Even then, they may turn a bit rougher. They're ok I guess, but that's about it for me. What I have seen on Changstar is that they can be improved a bit but that treble region can not. It also has a bump in the mids (a few dB) which I reckon could make it sound slightly 'cuppy/closed'. Tascam is amongst the cheaper studio gear but not bad in general. O.K. is just O.K., just like the K518 is 'O.K' for me, gave it to my daugther as I never use it. I tried the Fostex filter Frans. It opens it up but the treble goes a bit too edgy and there is still something odd about the trble. Actually, i think the problem is lower in the treble and the sound is even more 'clattery' It does sound like an open headphone but it seems as though there are resonances going on since listening to a sax piece and a jazz ensemble reveals uneven volumes on individual notes. (As though someone tweaks the volume at different pitches) ie: resonances are set off at different pitches!! Bass isn't as deep as I thought from the ember. Everything takes on a 'middle' quality with a tizz going on up top. I guess it just sounds a bit brash. Not sure whether I prefer it with or without filter. Funny thing is it sounds better direct from an Ipod headphone out rather than amped, where it seems to become 'thinner' and edgy. Fostex is more refined with the filter and not so edgy. There is a kind of similarity in sound but the Tascams are strange in the treble and a bit in yer face. 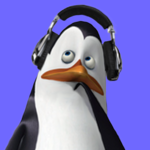 (Like a Grado) No way a pro monitoring headphone. Too skewed somewhere giving the impression that it's uneven in response over the spectrum, although the Fr graphs I've seen don't look too bad for them really. That's why i wonder whether the drivers are not really that good. I haven't listened to them but the treble peak is alarming. Also there is quite some channel imbalance. Note I checked this imbalance 4x with slightly different positions e.t.c. Oopss... I still had the rig in 'on-ear' measurement mode and had forgot. They sound that way as well. Good bass (goes down to 10Hz !) and mids but lacks clarity and the 'finesse' or finer details isn't smooth at all. Plan to see if something can be done. I spent the afternoon with it. The original pads are 'hard' and get hot quickly. They are uncomfortable to wear. Also I need a thick layer of material between the headband and the top of my head in order to get the pads to line up with my ears. Made filters for it, played with pads, wool, felt of various types and sorts. Have not been able to get it to sound right but as it is so damned uncomfortable at this moment I do not care. Played with the back open, partly open, closed with and without damping felt on it etc. You can get it to perform somewhat better but NOT so much I would use it. Will try it with DT770 pads on an 'adapter' but got a HUGE peak in the highs and the sound got a bit 'cuppy' which I hate above everything. For now I am calling it a day and will probably return to it later. Much what I found with them, Frans. Another one where I think the hype is better than the headphone. They don't fit me either since the cups don't go far enough up, plus those hard pads become uncomfortable for me too. The sound as they are just aren't that great. I felt that they were quite cuppy without any changes being made tbh. For me, they aren't really worth the effort. Especially as they cost a lot more in postage to get over to the UK. The ones I sent you were 'worn' through customs but not really worth all the trouble. I felt that the top end sounded a bit strange. I had a frankenphone which I didn't like that much and a pair of uncomfortable and not that great sounding TH02. So today I ripped my Frankenphone apart and transplanted the TH-02 drivers in the Beyerdynamic DT330 housing. I played with a plethora of pads that could be made to fit on them and tried to determine by sound alone the most promising combo. Turned out that the T50RP pleather pads sounded 'best' but had to 'tame' the highs of that driver. Those pads are bit thin though and had to create a pad thickness between that of the T50RP pads and SRH840 pads as the T50 pads were to midrangy and the SRH840 pads too dark/hollowish. Since I had to tame the driver in the highs as well (with felt) it got darker anyway but better behaved in the highs. 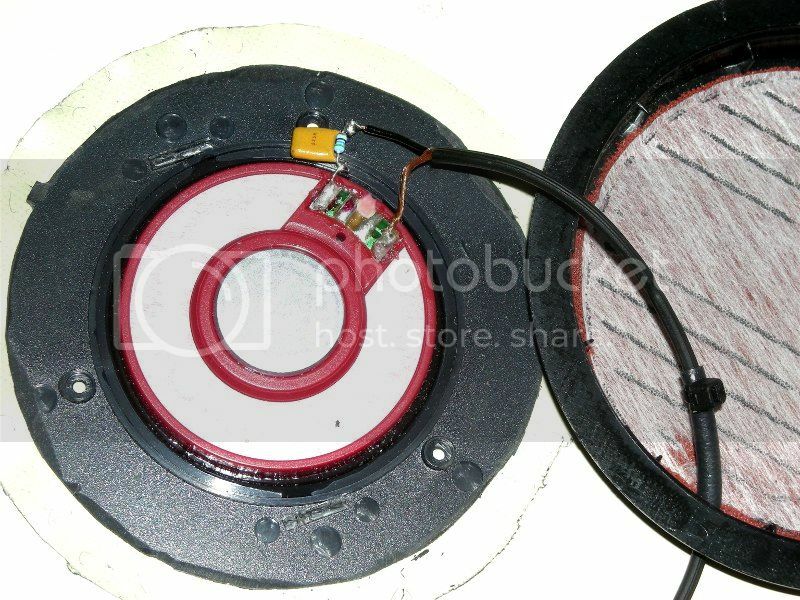 The 3mm thick felt is over the entire baffle thereby increasing the driver-ear distance and lowering the treble peak. Alas it became too bassy/dark so had to use a filter (similar as the one in the K551) to get the levels more in line. red = modified, green = stock TH02. They are overlayed so you can see which one rings the longest. At 7k and 9k the the modified version rings longer, at 3k and 5k the modified version rings some more. This headphone sounds a lot better than the original TH02 and is 'Olive-Welti' bassy and nice bright yet is not sibilant. No... it isn't as good as better headphones but given the price of the driver and materials used toi make this it isn't that bad. Very close to modified HD681-EVO where the original TH02 doesn't even come close to that quality. I used the EVO because they are in the same price bracket. 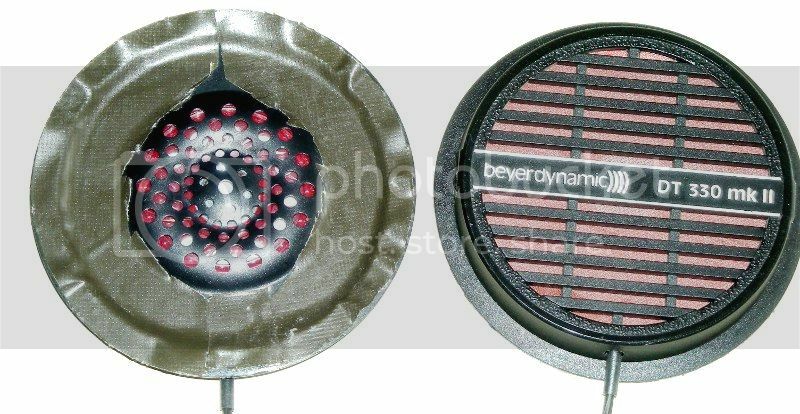 Nice, can you specify more on the filter design?, is it compact enough to be fitted inside the cups like the K551 one? it is a 56 Ohm resistor in parallel to a 2.2uF ceramic multilayer capacitor (may be replaced by film type). This is in series with the driver. This filter ONLY works when the 3mm felt is applied and the T50RP pads are used and is why I did not publish it. 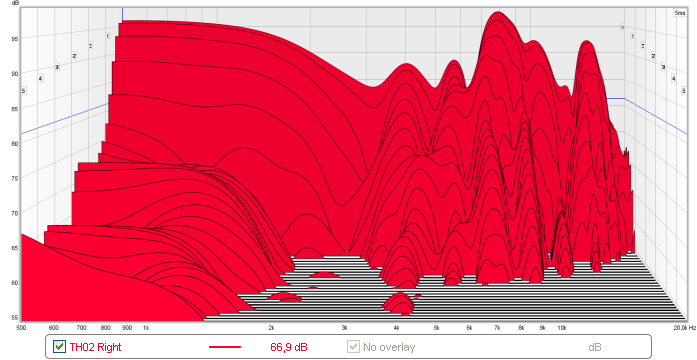 If the filter isn't in there it is a very bassy headphone, a bit like a stock HD681-EVO. So in short: if other pads, foster phones or felt is used the filter is not needed or needs to be different. I might take some pictures when I have some time next week. I removed the drivers/baffles and filed them down so they will fit the DT330 cups. Soldered a filter in there to reduce the massive bass to more normal levels. This consists of a 56 Ohm resistor in parallel to a 2.2uF Ceramic Multilayer capacitor. I taped the baffle into the enclosure using gaffertape. put some 3mm thick woolfelt on top of the driver and mounted T50RP pads on it. My son likes it and has traded me his modified HD438 for it as this one has moarrr bass and less treble.